Strapping is a process whereby a metal or plastic strap is placed around a product or pallet in order to bundle it, reinforce it, or attach it to something. 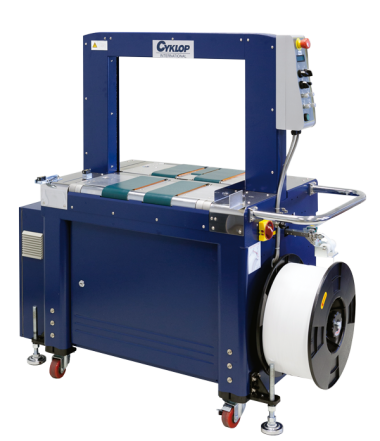 Cyklop has an extensive range of strapping machines. Semi-automatic arch and table machines have been developed for the strapping of small numbers of boxes. If you need to strap large quantities, (fully) automatic machines and installations are available. These machines can be custom made if required. Below you can find an overview of our strapping machines.